Sheetrock requires several applications of soft, easily damaged joint compount, with each layer needing sanding before it is ready to paint. Why not plaster? One coat of veneer plaster can be troweled over sheetrock, it sets hard and smooth, and requires no sanding. 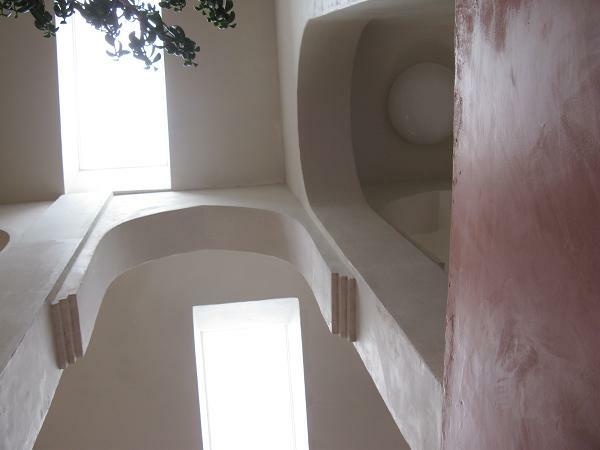 In addition, the skilled application of plaster can make the remodel blend seamlessly into the existing structure.  Plaster can be tinted any color to offer a cost effective and beautiful alternative to paint. Finely honed trowel techniques give subtle variations in color and texture to your wall surfaces; paint looks flat and dull by comparison. Beautiful new walls without the cost, hassle and fumes of paint - it's an easy choice! Venetian plaster is made from aged lime and ground marble. The final application is burnished to a lustrous sheen transforming walls into works of art. It has the look and feel of polished marble. Note: Various paint manufacturers offer products called Venetian plaster. They contain polymers and additives and are in no way comparable to the real thing. True Venetian plaster is pure, organic, and has no VOC's. Many older homes have cracked and damaged walls or ceilings due to water intrusion and movement from settling. We offer repairs using the best available products and procedures. We're here to help! Contact us for more information or questions.